In addition to Susan Rice’s illegal unmasking and Obama’s duplicitous move to open up intelligence sharing among 16 agencies in the last days of his administration (after having locked it all down during his term) now we learn, after all of the denials, that a FISA warrant was indeed obtained by none other than Comey’s FBI. However, don’t be fooled by the following politically spun report, from the Washington Post, in its attempt to rephrase the case as if it were the FBI’s official decision to pursue surveillance on Trump. The FBI cannot move, on a case or a warrant, unless directed by the Department of Justice, and in this case, the exceedingly corrupt and biased Obama DOJ. Nothing was found in the ensuing investigation, which ostensibly means that the Trump staffer was officially used as a strawman for the Obama regime to illegally spy on its political opposition, the Trump campaign, for political purposes, which was, by the way, the exact basis of the infamous Watergate Hearings and impeachment of Nixon. 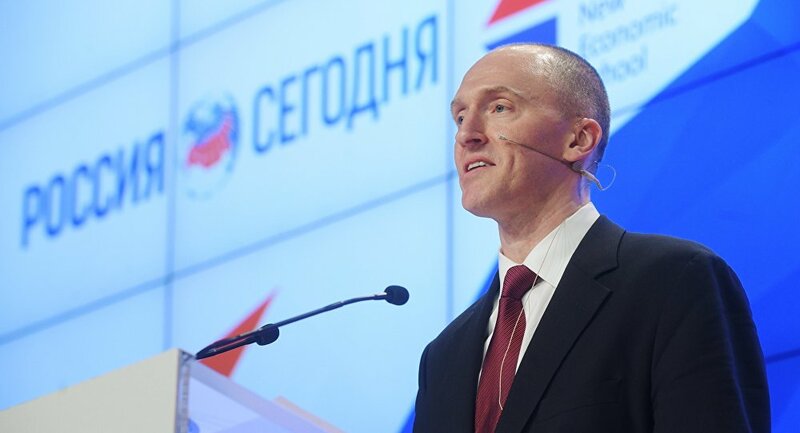 The FBI and the Justice Department obtained the warrant targeting Carter Page’s communications after convincing a Foreign Intelligence Surveillance Court judge that there was probable cause to believe Page was acting as an agent of a foreign power, in this case, Russia, according to the officials.